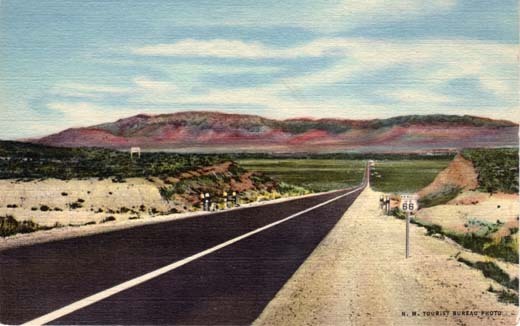 Highway U. S. 66 entering Rio Grande Valley at Albuquerque, N. 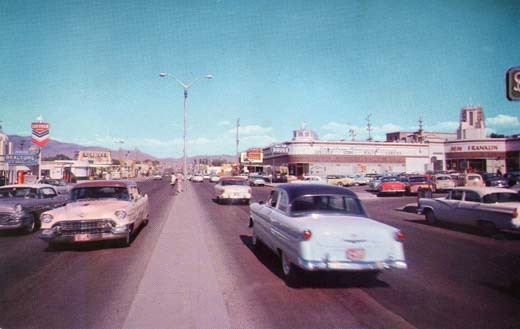 Mex., with Sandia Mountains in the background. 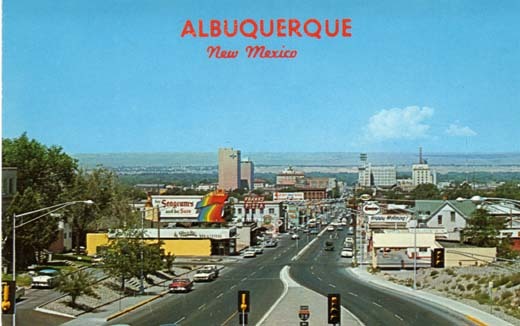 Albuquerque, New Mexico. 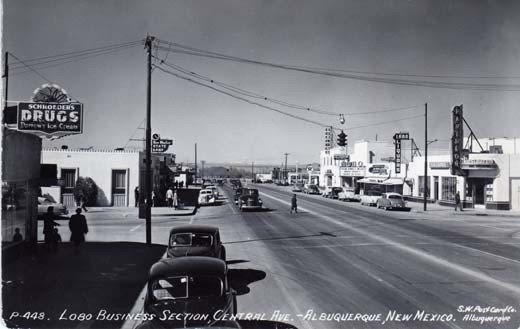 Largest city in New Mexico. The Albuquerque skyline, as seen from the Coronado Freeway. This is said to be the busiest intersection in the nation on a per capita basis. 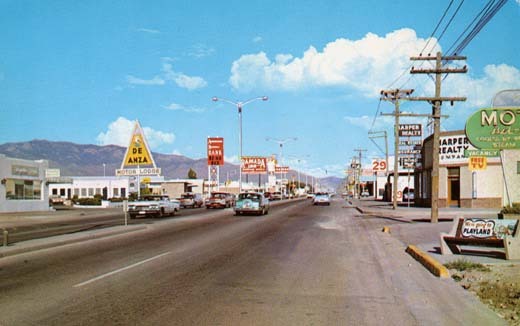 Looking east on Central Avenue in the background is Sandia Mountains. 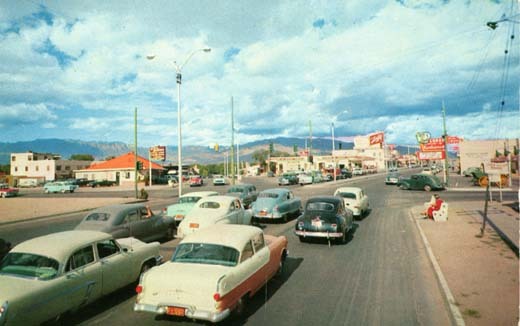 The dry air and plentiful sunshine have earned Albuquerque a reputation as a health center. The sun shines here 76% of the time. View Gram; Baxtone, Box 175, Amarillo, Texas, Made in U.S.A.